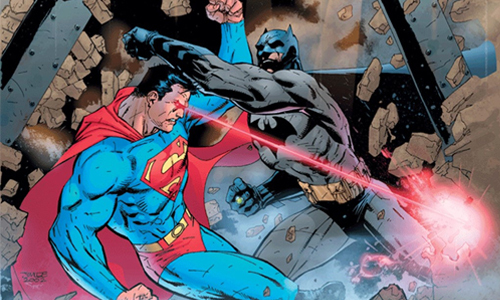 While we know the new Batman vs. Superman movie won’t be a direct adaptation of Frank Miller’s graphic novel The Dark Knight Returns, we do know that it will draw some inspiration from it. How much remains unclear, but this latest rumor adds fuel to the fire that the film will have more in common with the novel than we were led to believe. The latest rumor, courtesy of Batman-on-Film, says that Warner Bros. wants an actor in his mid-forties to don the cape and cowl and portray a Batman who is “a grizzled veteran who has been on the job for several years.” That goes against last week’s rumor that Tyler Hoechlin was the top choice to take on the role opposite Henry Cavill’s Superman. Some unofficial names being thrown around now are Jon Hamm (who people wanted as Superman), Gerard Butler, and Josh Brolin. I personally think Brolin is perfect for the role if that’s the direction they go in. He has the charisma and the badass attitude to go head-to-head with Superman. The only issue I foresee with him is height, since he stands only 5’10”. While this news is interesting and rather exciting, it does have me worried. It seems like Warner Bros. doesn’t know what it is doing, or for that matter, what it wants. Do they just want this new Batman to appear only in Justice League films? Say Brolin gets cast in the role. He is 45 right now, so by the time the first Justice League film comes out he’d be close to 50, (and yes, I know Robert Downey Jr. is already 48, but he’s been Iron Man in four films already). 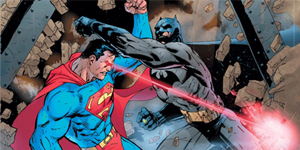 What 50-year-old would be able to fight against aliens or Darkseid? I figured Warner Bros. would establish a new Batman in these Justice League films before spinning him off for his own solo franchise. The studio seems to just be throwing ideas at a wall and hoping one sticks.